Choose From Any Laminate Color, Base Style, or Metal Banding. Most of our kitchen tables are built to order. 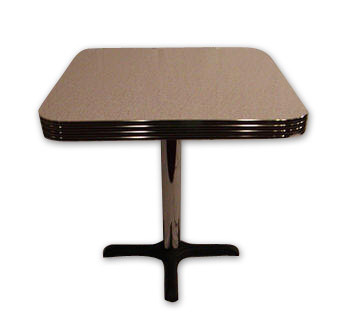 So, whether you need a rectangle, square, oval, or round kitchen or dinette table, we are sure to build one that suits your kitchen, dinette, or game room space. 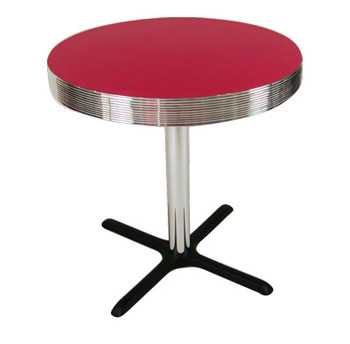 Our tables are built for heavy duty restaurant use but are classy enough for any home or kitchen. 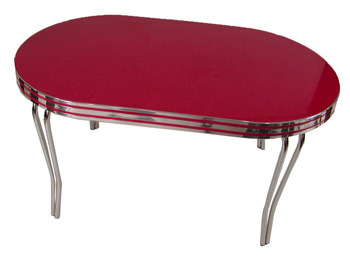 Tables carry a two year warranty against any factory defects. Please visit our laminate page to see the variety of colors and patterns available to customize your selection. 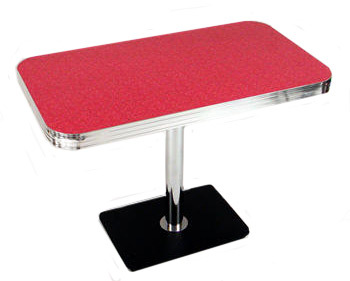 If you would like a quote on your custom table, use our Chat feature, or send us an email . You can also call 304-728-0547 and be sure to reach a live voice!